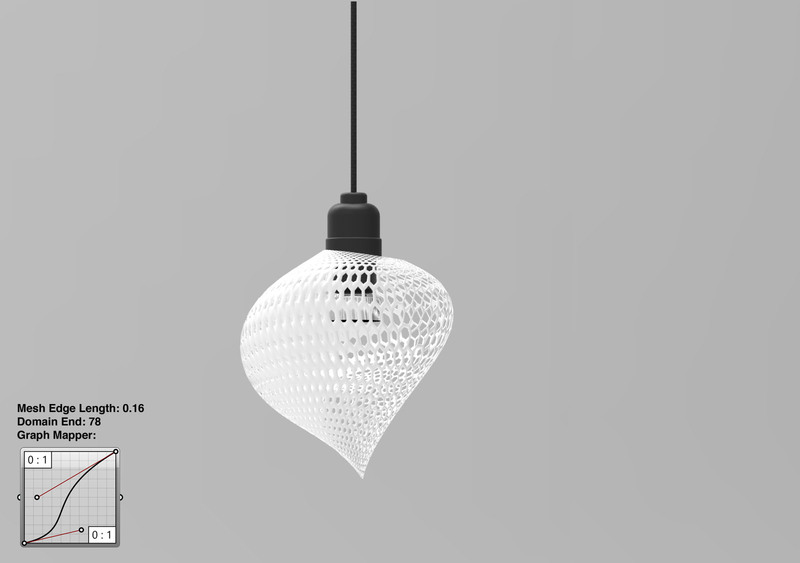 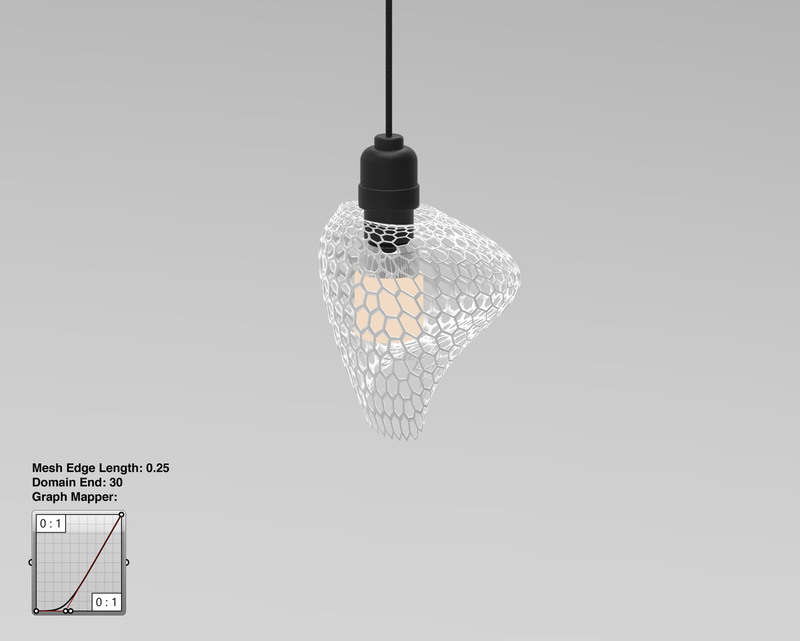 For my parametric project I chose to work on light diffusers. 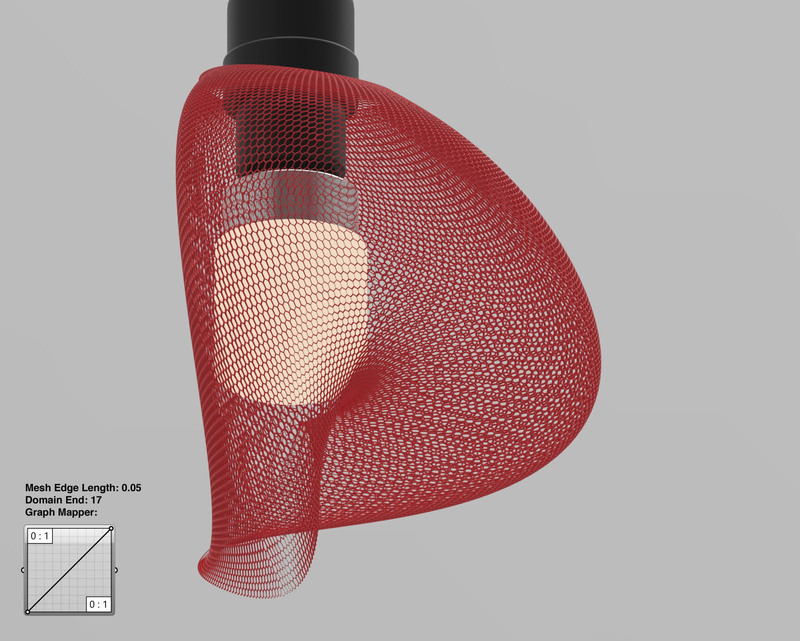 The three driving parameters are mesh edge length, a graph mapper graph, and the domain maximum number. 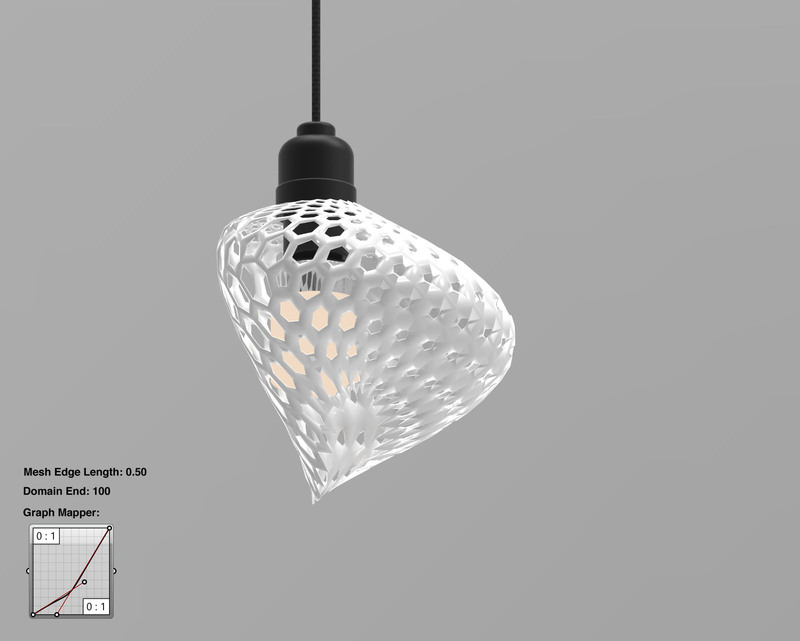 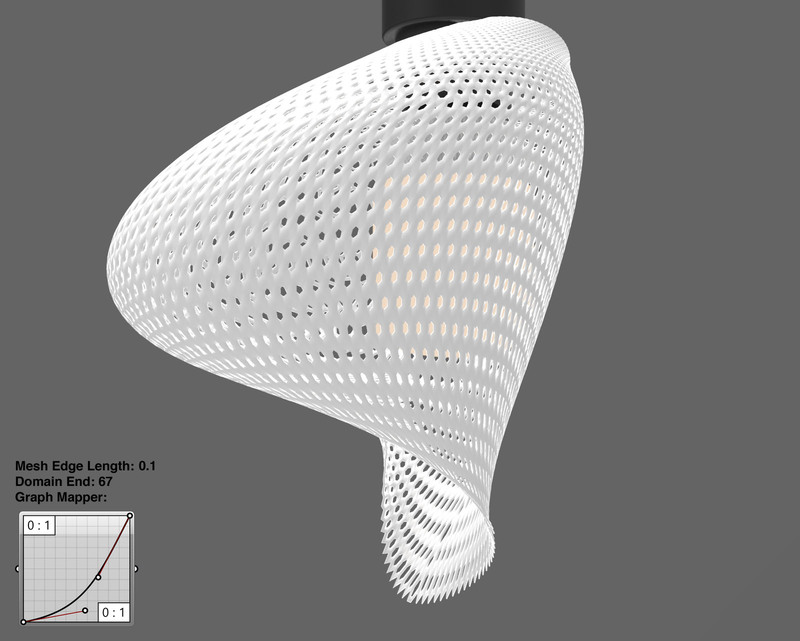 By changing these parameters I was able to adjust the size of the openings within the body of the light diffuser, the change in scale of the openings from top to bottom, and the maximum thickening of the material.